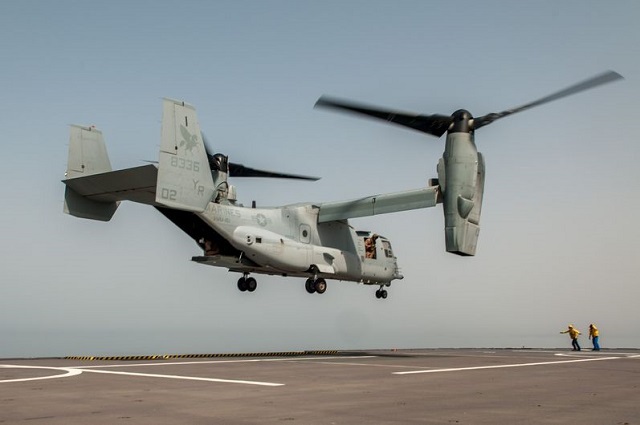 On July 5th, the French Navy Naval Aviation Practical Experimentation Center (centre d’expérimentations pratiques de l’aéronautique navale - CEPA) led a certification campaign of the United States Marine Corps (USMC) Boeing V-22 Osprey tilt rotor aircraft on the Mistral class LHD Dixmude. The tests took place off the coast of Djibouti, an East Africa country where both France and the USA have permanent bases. The goal through this certification is to enhance interoperability between the French and American navies. 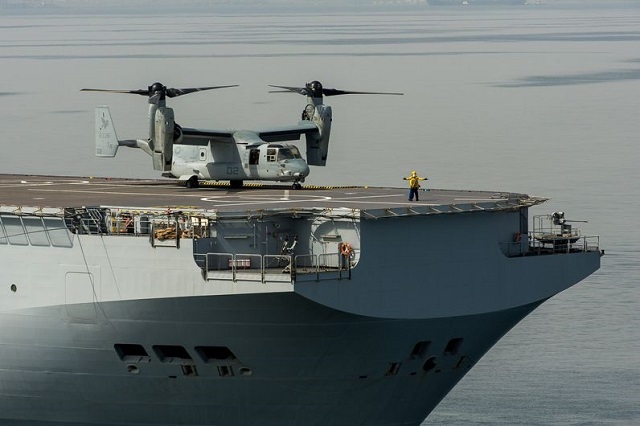 Mistral class Landing Helicopter Dock (LHD) Dixmude welcomed a US Marine Corps V-22 Osprey belonging to the 15th Marine Expeditionary Unit (MEU) currently deployed on the Wasp class LHD USS Essex. The V-22 is a tilt rotor aircraft. Its design allows it to take off and land vertically like an helicopter but also fly like an airplane. Back in 2014, for the first time, a series of V22 test landings were made with the Dixmude followed by the Mistral. A USMC CH-53 Sea Stallion was also qualified with Dixmude LHD back in 2012. Finally, back in October 2011, some USAF HH60G Pave Hawks were detached onboard French Navy's Tonnerre LHD during NATO operations in Lybia. 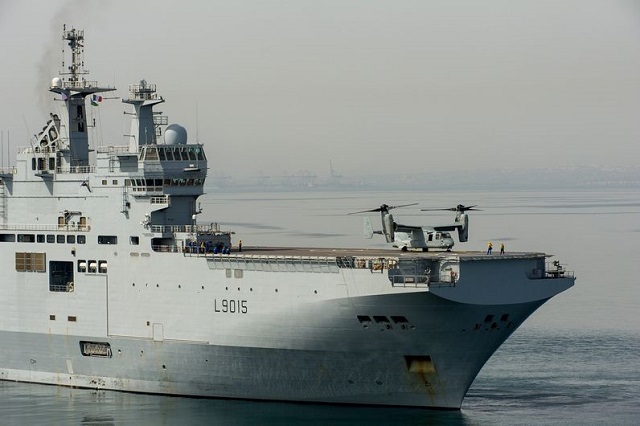 For the certification, a landing spot was selected, close to the #1 spot (the only one on the Mistral class designed to sustain heavy helicopters such as the V22 or CH53). 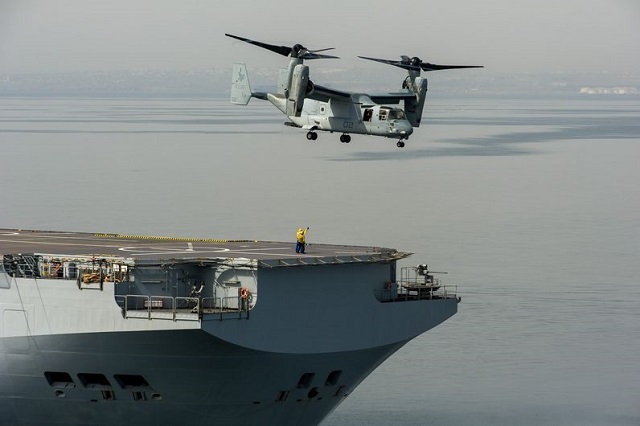 This time around, in addition to the regular landing tests, other tests were conducted to demonstrate and certify the ability of the Mistral class LHD to accommodate a V22. These tests included embarking and disembarking personnel, refueling and parking the V22 Osprey on the deck with engines turned off. 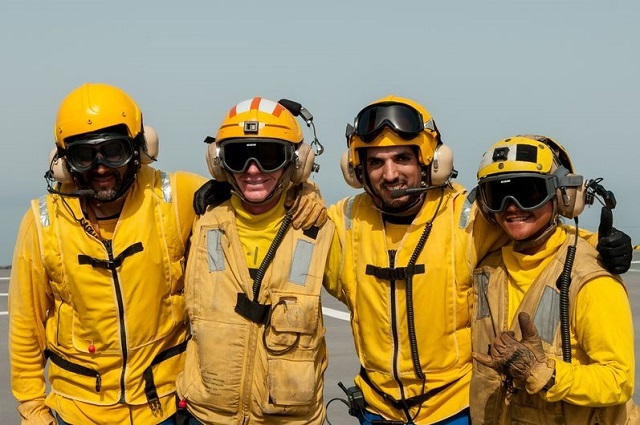 French Navy flight deck, bridge and security teams were briefed by their American counterparts before the tests. When the V-22 approached, sailors were impressed by the imposing machine, which came to rest on the front of the Dixmude LHD flight deck. 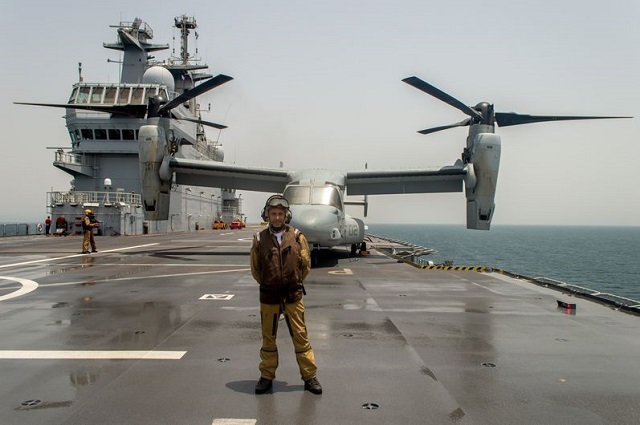 This big step for the French Navy has been done under the control of the CEPA team (dispatched from mainland France for the occasion) which took place both on board the LHD and the V-22. The presentations of the aircraft followed one another, followed by temperature measurements on the deck. The final test was used to disembark personnel and refuel the V22 with rotating rotors, before cutting the engines off - a first on a French LHD. This operation was a great success: all planned measures and maneuvers under were achieved. The experts will now decide on the certification and the future framework of interoperability between V-22 Osprey and Mistral class LHDs.